Atletico Madrid and Juventus play the first leg of the Champions League 1/8 finals on Wednesday evening. Juve seem like one of the best teams on the planet; Atleti have always been fantastic at home. So, who’s going to be the happier side when the match at Wanda Metropolitano finishes? 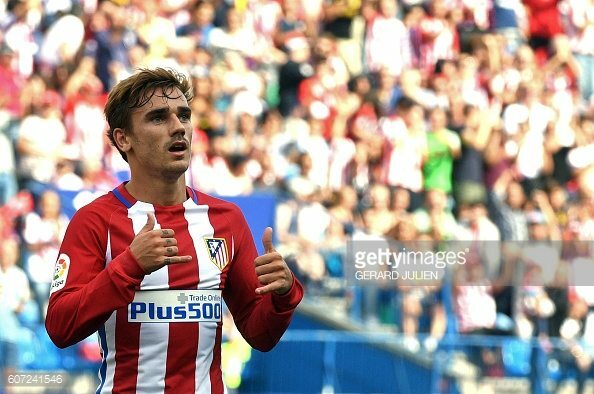 To find out, you need to read our Atletico Madrid vs Juventus prediction and betting tips! Atletico Madrid haven’t been in a too good form lately. Actually, since February started, they lost 2 out of 3 matches. And even the one they won wasn’t very impressive – they beat Rayo Vallecano 1:0. But, this doesn’t mean they’re not good anymore. In fact, they’re still at the 2nd spot in La Liga. But, what’s most important for them at the moment is how they’re gonna play in the Champions League. Even though they’re not the favorites for advancing to the quarterfinal, Atleti do have a good chance at home. Wanda Metropolitano is the place where they’ve been fantastic this season. In fact, they lost only one game at Wanda since early May 2018. But, the match they lost happened less than two weeks ago when they played the Madrid Derby against Los Blancos. They lost 3:1 to Real Madrid, but the main reason for that is that they had problems with injuries in that match. The good news is that their injury problems are not as serious anymore. Sure, they will have to do without Diego Costa, Lucas, and Koke, but at least their center backs are fine and ready to defend their goal. Speaking of defending, Atleti have been really impressive this season. In La Liga, they allowed only 17 goals. And in the previous 3 Champions League matches, they kept a clean sheet. And they also kept a clean sheet in both of the matches they played with Juventus in this century. According to the bookies, Juventus are the 4th-biggest favorites for winning the Champions League trophy this season. And it’s not a surprise because they have a team that already came near to winning it in the last few seasons. But, this time, there’s one big difference – Juve now have Cristiano Ronaldo. And this guy has been in a tremendous form. CR7 is Juventus’ best scorer in Serie A with 19 goals in 24 matches, which is 11 goals more than Mandzukic who’s their second most prolific scorer. Still, Ronaldo hasn’t been very fruitful in the Champions League. So far he’s scored only one goal and made two assists. Paulo Dybala has been their best scorer in this competition with 5 goals to his name. And the Argentine forward has started getting into a good form in Serie A as well, having scored one goal in the league last Friday. Still, I doubt Juventus will be too eager to attack with all they got on Wednesday. Same as Atleti, Juventus are also great at home. So, even if they fail to beat Atletico on Wanda, they have a chance to set everything straight in two weeks at Turin Stadium. Juventus are the better team, but Atleti are great at home. Plus, they’re superb when it comes to defending, so even Ronaldo and co. should have problems finding the net. That’s why my betting advice is to bet on under 2.5 goals.